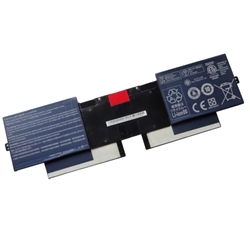 Description: New genuine Acer Aspire Ultrabook replacement battery. The specifications for this battery are 2310mAh, 34Wh, 14.8V, 4 Cell. This is a high quality genuine rechargeable Li-polymer battery pack. Part #'s: BT.00403.022, AP12B3F, AICP4/67/90.